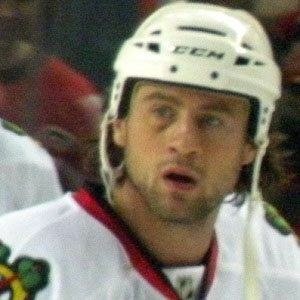 Right winger who won the Stanley Cup in 2010 with the Chicago Blackhawks and joined the Dallas Stars the following season. He graduated from the University of Wisconsin, winning a hockey national championship in 2006. He signed with the San Jose Sharks in 2012. He has a younger sister named Nikki. Winger Patrick Kane was his teammate on the Blackhawks.